With reckless abandon, your company makes a mad dash for the gates! 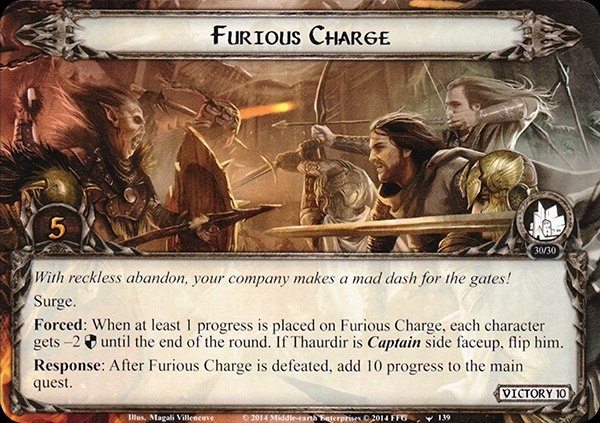 Forced: When at least 1 progress is placed on Furious Charge, each character gets -2 until the end of the round. If Thaurdir is Captain side faceup, flip him. Response: After Furious Charge is defeated, add 10 progress to the main quest.